ePass PKI USB Token is the world's foremost cryptographic identity verification module. ePass by Ezride Technology provides a host of indispensable protective measures for digital communication and transaction through Public Key Infrastructure (PKI) data encryption technology. The token’s unique private key functions as an individual’s online ID card and brings a new level of accountability and nonrepudiation to the internet. ePass is a smart-card chip based token with a convenient USB insert rendering the device operable with almost all computers without the need for a reader. As a two factor authentication solution ePass can secure local and remote desktop and network log-on. Key cryptography and the digital signing of emails, documents, and transactions are performed onboard in the secure token framework which is impervious to after-market modification and manipulation. ePass PKI USB Token has been adopted and used successfully in a wide range of different industries from small/medium and large enterprise, government and finance. The production capabilities to fulfill such a dynamic clientele allow Ezride Technology to tailor each orderto fit the needs of a particular customer; orders can be customized with a specific logo and/or colour scheme to suit the project at hand. Through close cooperation with some of the largest worldwide financial institutions Ezride Technology maintains the stable production of millions of token keys each year enabling the capacity to quickly and efficiently satisfy orders from hundreds to hundreds of thousands. This economy of scale enables a cost effective pricing structure that is unequaled by othermanufacturers. With millions of keys in circulation ePass PKI USB Token has been consistently improved and refined to the highest degree of quality and stability. The construction of principal security requirements featured on the ePass PKI USB Token have been carefully tested against the rigorous standards of international third-party experts. The Common Criteria for Information Technology Security Evaluation (CC) has awarded the status of EAL 5+. ePass PKI USB Token hasreceived the Federal Information Processing Standard (FIPS) 140-2 level 2, a public standard developed by the United States federal government to distinguish both hardware and software components of cryptographic computer systems, assuring physical tamper-evidence and role-based authentication. 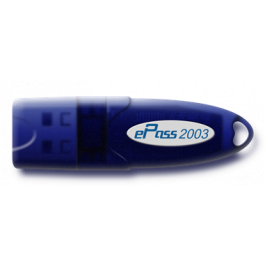 ePass PKI USB Token comes loaded with Microsoft MiniDriver standard protocol which allows the device to runsmoothly on Windows operating systems with no need for additionalmiddleware investments. 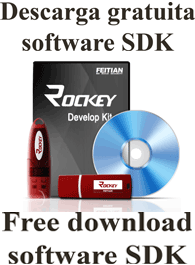 The end user need only to insert the key into the host computer and the device driver will be automatically installed through the Windows Update function. The MiniDriver design works with Windows built-in Microsoft Base Smart Card Providerto offer native support for all Microsoft CAPI and up-to-date CNG solutions, such as Windows Smart Card Log-on and RDP Log-on. Certified by PCSC-Lite/LibCCID group the device can provide built-in support for Linux or MAC operating systems and/orapplications. ePass PKI USB Token works with Ezride Technology private PKCS#11 library or OpenSC PKCS#11 library forintegration into popular web browsers such as Firefox as well as various email clients.